I'm in the process of publishing a book. ^ That's a statement I've craved to announce ever since I was a little girl. I can clearly remember staying up late and hiding my laptop under my sheets so I could stay up until midnight, writing to my little heart's content. Imagining what it would be like to publish a book. Now I'm living out this dream! I'm making it happen! Through the editing process, I asked the friends on my author newsletter for beta reader volunteers, and I was not disappointed. Many lovely young women kindly sacrificed their time to read and critique my work. 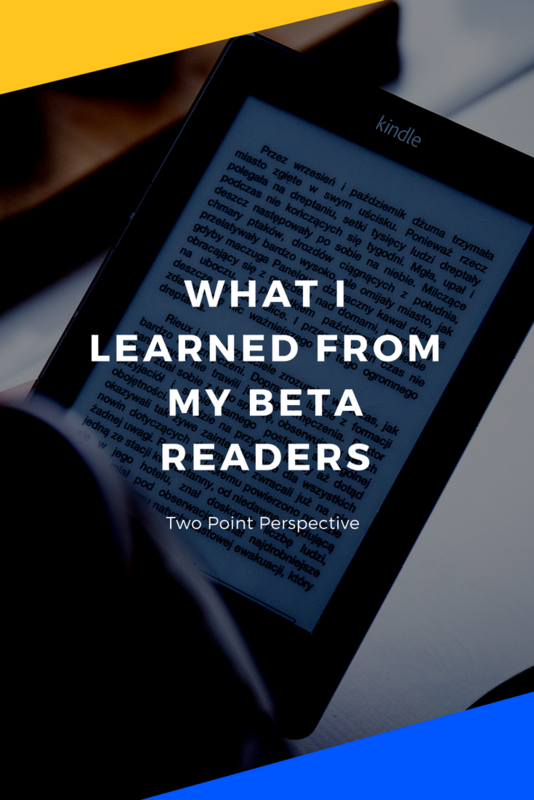 I've learned a lot from them, and today I thought I would compile lessons I learned into this post so that they may encourage and help you if you are considering the idea of asking for beta readers. I'll be honest, I get a little flustered when I read a typo in my work. So you can imagine the dozens of little pricks I felt whilst reading through edits. Having a handful of people beta read my works has been an exercise in putting aside the shame of grammatical mistakes and accepting myself as I am. This process has been a nice reminder that 1. I am human and 2. My readers didn't care. I mean, I asked them to look at something near and dear to me and help me perfect it. So, in the end, my gratitude wins over any feels of doubt in my talent or inferiority. I had a lot of deja vu moments when reading through edits. My readers would comment on a lot of the same things, catch a lot of the same typos, and react to a lot of the same spots in the story. However... they didn't always line up. Even though readers pointed out a lot of the same things, they also pointed out a lot of different things. I learned that because people are so diverse, they're looking for different things. It was nice to see what others were looking for. Some were more character focused, others plot focused. Some asked for expansion, and others asked for cuts. It was amazing to me to see what some pointed out and others didn't. I felt like I truly got to see the inner workings of some readers who were similar but also very different. I'm happy to say that I've fallen in love with my work once again and that I'm happy to soon share this book with you guys. The projected launch date is December 9th, 2018 (which happens to be the three year anniversary since writing began). If you'd like to be part of this journey with me, please feel free to sign up for my email list. The peeps on this list will get direct updates about the process of going from the first draft to published. Behind the scenes, pre-order deals, and special opportunities like beta reading are only available if you're on the list. A book succeeds not because of the talent of the author, but because of the support it receives from its readers. Special thank you to Grace, Becca, Abby, and Vanessa for helping me. Thank you for supporting me. All of you. Congrats! I’m so excited for you!!!!!!! I’ve never gotten close to publishing a book yet, but I hope to make more progress by the end of the year. Great post, and good luck!